Home » News » Hi. We’re TiVo. You may be familiar with our name – quite familiar, even – but beginning today, we’re a brand new company formed by the merger of Rovi and TiVo, with an exciting new story to tell. But, let’s start at the beginning: why exactly did Rovi and TiVo get together in the first place? Well, both companies had already established themselves with game-changing contributions to the entertainment experience. Rovi developed the first on-screen TV program guide, and TiVo introduced the world to an indispensable invention for recording digital video (i.e., the DVR – perhaps you’ve heard of it?). Both companies devoted countless hours, resources and passion to developing and enhancing products that help connect people to the television and programming they love, in spite of a complicated media landscape. It was a natural fit. 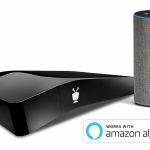 The new TiVo will continue to revolutionize how people find content and focus on building the ultimate entertainment experience – one that serves customers worldwide and touches the day-to-day lives of viewers with innovative products and technology solutions. Visit forward.tivo.com for more details. And stay tuned for news about our global teams and technologies as we all move forward faster, to a beautiful future.